Catch Matt & Jamesey, Martin Lodge (Mi Soul) plus many others spinning at the Shapes Festival in Zakynthos in Greece from 23rd-26th August! It certainly looks like one of the events of the summer as the island is just stunning and nightlife fantastic. A four day pass is a mere 50 EUROS so why not come and join us! 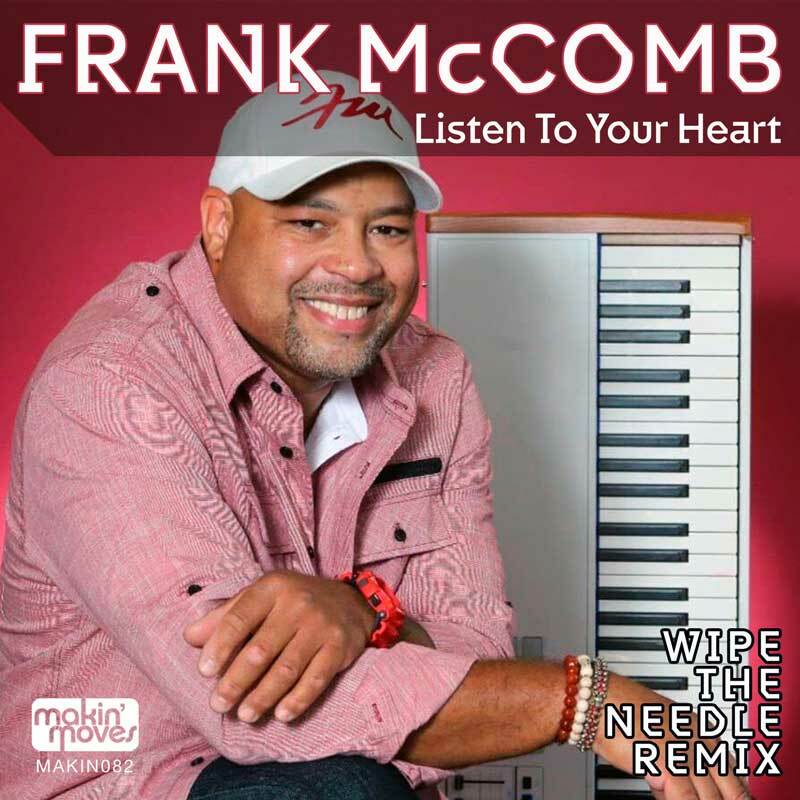 Frank McComb is a divine soul man who speaks with the native tongue of soul, jazz, blues and pop. His virtuoso vocal and piano work has made him not only an indispensable and highly sought after session musician, but a favorite on the soul, jazz and R&B scenes. Frank has worked with many of the entertainment industrys giants including but not limited to: Prince, Branford Marsalis, George Duke, Patrice Rushen, Gerald Levert, The Rude Boys, Phil Perry, Tommy Davidson, Fred Hammond, John P. Kee, Chaka Khan, Songwriting duo Kenny Gamble and Leon Huff, D.J. Jazzy Jeff and the Fresh Prince (Will Smith), Frankie Beverly and Maze, Teena Marie, Lalah Hathaway, Terri Lynn Carrington, Phyllis Hyman, Valerie Simpson, American Idol’s Rickey Minor, Philip Bailey, Teddy Pendergrass and so many more. ‘Listen To Your Heart’ originally came out in 2000 on the album ‘Love Stories’. Now we are presenting you with this fresh remix by Wipe The Needle who have done a stellar job to say the least. This month the House Room is co-hosted by Makin’ Moves and Mi Casa As Su Casa crew! The joint event held back in April was pure fire and with everyone still raving about it we thought we’d link up and do it all again this summer!Makin’ Moves residents Matt L-S and Jamesey will be joined by Mi Casa regulars Mathew Ballester & Mickey richards (Sunday Vibes), and Mikki Funk (Plastic People Recordings) and DJ Dubois! 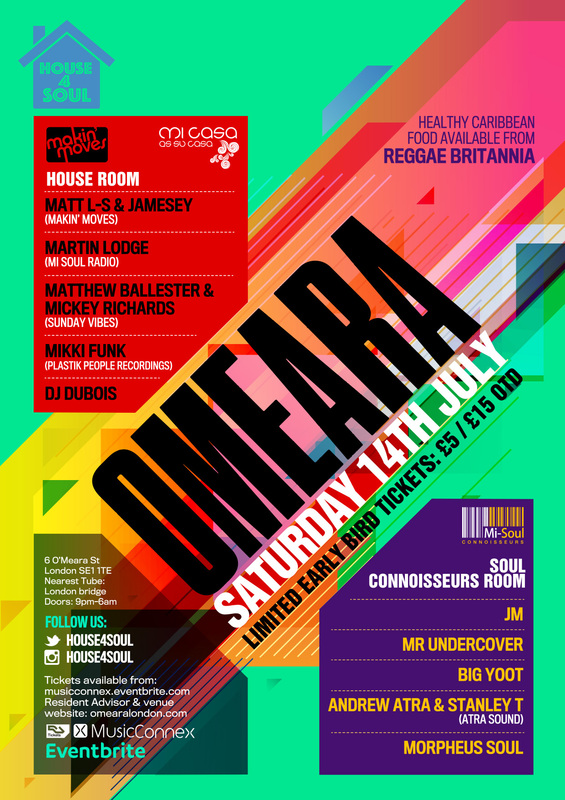 Martin Lodge is one London’s finest dj’s, with his versatile soul and soulful house sound you can catch him playing at the best soulful house events around including Southport Weekender Festival, Mi Soul Margate Festival and Deep into Soul. On the radio he’s on mi Soul Radio every Monday evening 7-9pm and we look forward to welcoming him to House 4 Soul! Dont forget you can munch out all night at the Reggae Britannia food stall open during the night. Get your advanced tickets now to avoid missing out!